Want to GET IN or GET PROMOTED in the public service sector? This e-manual gives you all the information, tools and resources you need. Carolyn Smith, has created the most comprehensive e-manual on how to write an application that will secure interviews in the public service sector. It’s packed full of hands on information that reveals all her trade secrets and provides you with all the tools for planning, writing and submitting an application that is guaranteed to help you secure interviews. Browse its table of contents now. An award-winning home study course by Mary Elizabeth Bradford, that has taught thousands of professionals, managers and executives worldwide how to eliminate the frustration, cost and time associated with most traditional job searches. 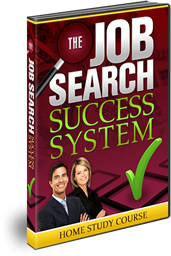 You can find out EXACTLY how to get more interviews and offers and shorten your job search with the Job Search Success System. Browse its table of contents now. It is time consuming, stressful, you face rejection almost every single day and times are changing, where the traditional job search approaches no longer work effectively. So I compiled a short resource covering of ALL the essentials you need to know for Job Search Success, so you use the right job search strategies, develop effective resumes and selection criteria, nail a job interview and most importantly, stay SANE during the job search. For more information….